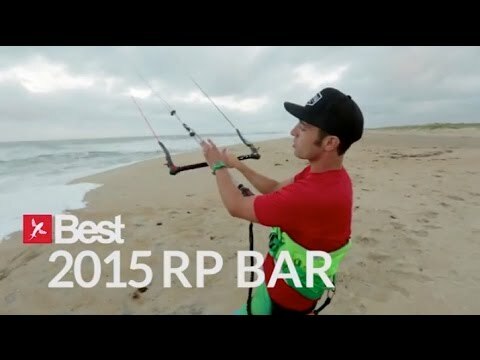 The new 2015 Best TS is a high performance crossover kite with awesome all-round potential. It is powerful, yet user friendly and can perform big airs, unhooked tricks and a bunch of other maneuvers with ease. It is a kite that can accommodate a wide range of rides and excels in real world conditions. It is perfect for cruising, progression and advanced riding. The Best TS is a do-it-all kite. It is perfect for freeride, as well as for new school and wakestyle. The kite is optimized to deliver reliable performance in virtually any conditions. It features a ride optimized geometry which makes any size reactive and easy to handle. The geometry of the TS is customized to deliver amazing freeride and freestyle performance in the smaller models and superior light wind performance in the larger ones. The open-c design assures superior stability and power delivery, as well as easy handling and direct control. The sweep profile ensures excellent upwind ability and reduces drag, while the bat trailing edge prevents flutter. A five strut configuration keep the kite steady in shifting winds. The kite uses a reactive micro bridle system which ensures direct and precise feedback and increased stability plus light bar pressure. The four line system provides a nice handling at all times. The TS can boost, cruise and perform technical tricks with ease. It practically adapts to your riding style.